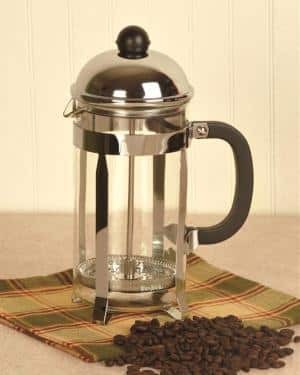 Is Espresso Roast The Same As Espresso? I come from a line of coffee lovers. I married into a line of family lovers. So much of my holiday vacation time is spent making coffee since I was the only person who became a barista in college. And when I wasn’t making coffee, we were talking about my in-law’s coffee shop in Thieusies, Belgium. 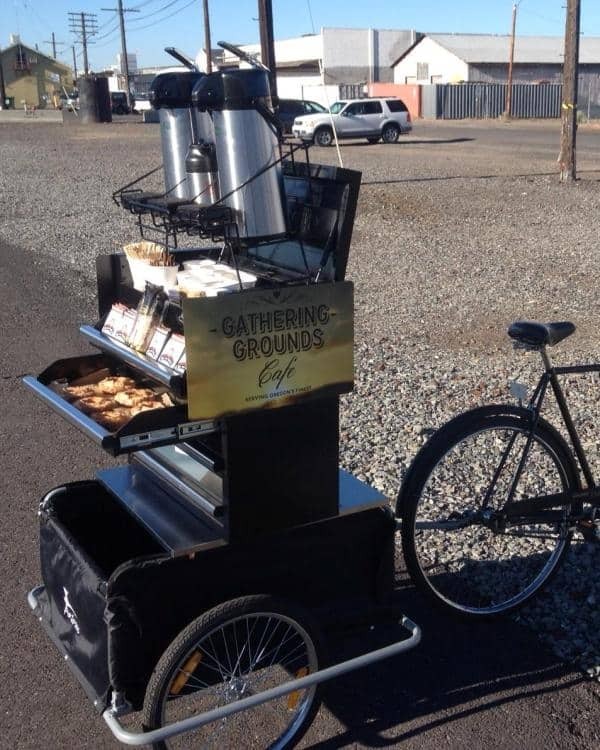 And when that wasn’t happening, someone was begging to grab a coffee on the way to our next merry event. One evening, this past Christmas, my sister-in-law insisted that we have to hit a Starbucks after dinner. One of her students raved about the new blonde espresso. If your mind was just blown, rest assured, you are not the only one. These words aren’t technically wrong. They are associated with espresso because they are the typical flavor notes of a dark roast. This answers our first question. Espresso and espresso roast are, in fact, not the same thing. Let’s start at the very beginning, and follow the journey from seed to demitasse. You may not know this, but coffee beans aren’t really beans. They are actually the seeds from a fruit. They’re dried and preserved. Then transported to roasters. During the roasting process, the chaff is separated, and the bean changes colour due to chemical reactions that are taking place. It is commonly believed that the darker the roast, the more caffeine is presented. However, the truth is that light roasts are the way to go, if you need a boost. So why aren’t light roasts the norm for the espresso connoisseur? 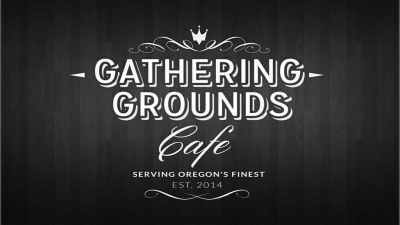 Most coffee shops use heavily roasted beans because the longer greenies are roasted, the more oils are extracted. And oil is absolutely necessary to get that film of crema that makes a shot of espresso. As the beans are roasted, carbon dioxide gets trapped within the bean. Every hour after the roast, the beans loose that gas. It is imperative to use freshly roasted coffee bean when making espresso-based drinks. This is why a lot of high-end cafes have resulted to roasting in house. Lack of crema indicates that the beans were not fresh, were not roasted properly, or were not brewed under the right amount of pressure. In order to have perfect crema, you have to pull a shot with all the precision of a chemist. It starts with having the right equipment. The concentration and speed of an espresso machine is dependent on the grind. Most grinders do not have a fine enough setting. So you have to get a grinder with burrs specifically cut to ensure the beans become a sugary consistency. Those grounds will go directly into the portafilter, a stainless steel container with a built in filter and spout. This process is called dosing. You dose directly into the portafilter to make sure that the grounds are evenly distributed. Then you need a tamper. 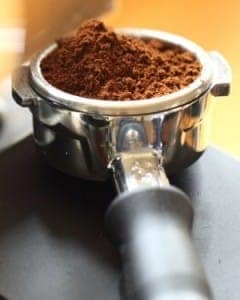 This is a necessary piece of equipment, simple as it may seem, because the grounds must be pressed evenly to get a consistent extraction rate. Once the beans are a fine grind, tamped, and portafilter is placed into the machine, it’s time to pull the shot. The processes differ depending on the machine itself. Let’s travel back in time to the origins of the drink and examine the first machines. Dating back to the 1906 World’s Fair in Italy, the espresso was just coffee made in record time. Though there were preliminary designs that ultimately died for lack of interest or money, Desiderio Pavoni and Luigi Bezerra are credited for the first public appearance of the espresso machine. True to it’s name, this was the first machine that could make a single serving of coffee to order. After it’s debut, others began to toy with the mechanics to improve upon the genius idea. The first notable change was made by Achille Gaggia some time after World War II, and has lasted til today. He was able to bring the air pressure needed to push the coffee through the grinds up to 8-10 bars. He also implemented a lever to release the pressure into the portafilter, and through the grinds. The machine changed with the times, and fresh ideas. But two models that we see today have stayed as close to the original as possible. 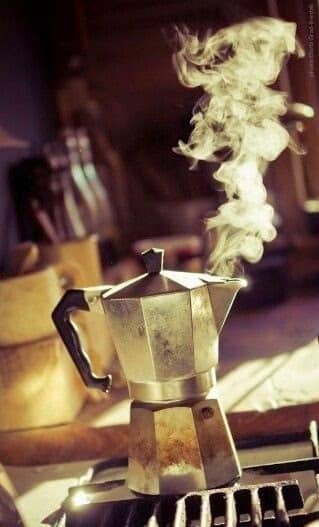 The manual and the moka pot. 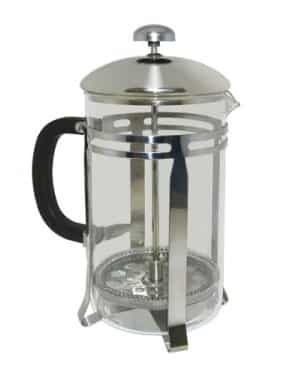 Starting with the most basic of espresso machines, we have the Moka Pot. This household favourite is made up of 3 main parts. Heat builds within the water reservoir, bringing the water to a boil. Pressure moves water up through grinds within the portafilter and into the top chamber to be poured. The manual machine is much like it’s ancient predecessor. It’s lever activated, so all of the responsibility falls to the coffee maker. These methods produce delicious coffee, but they do not proved the 9 bars of pressure necessary to produce consistent crema. That’s where the big guys come in. These electronically enhanced espresso machines come in two varieties semi-automatic and super-automatic. Why don’t we take a look under the hood to see the mechanics, and process of pulling a shot to better understand what makes espresso unrivaled and unique. Check out some of our favourite machines here. These have a radiator, which boils the water within the chamber, which is hooked up to the plumbing. The temperature is easier to monitor and control this way. And the water is always fresh. They are also equipped with pumps. Far more efficient than its lever operated predecessor, the barista no longer has to put in the elbow grease. 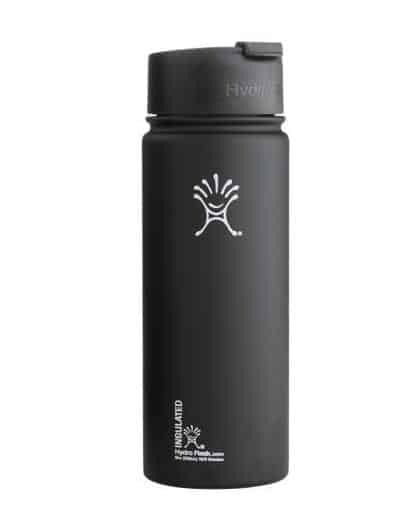 They have built-in frothing wands, sometimes with internal temperature gauges that stop at the perfect time. The big difference between the semi and super-auto is that the super gives you the ability to pre-program grind and doses into the mechanism, which frees up a lot of counter space and saves time. The set back that professional baristas have seen with super-automatics is that the machine is difficult to fix. The technology typically needs to be replaced entirely, if a specialist cannot find what has gone awry. Baristas sometimes argue that these machines also take away from the personality that is put into each cup, when all the different baristas that work in a cafe grind, tamp, and pull each shot. Although the science of coffee needs to be precise and exact to yield consistently good coffee, each barista becomes an artist. Everyone is different, technique and style are something you hone and grow. 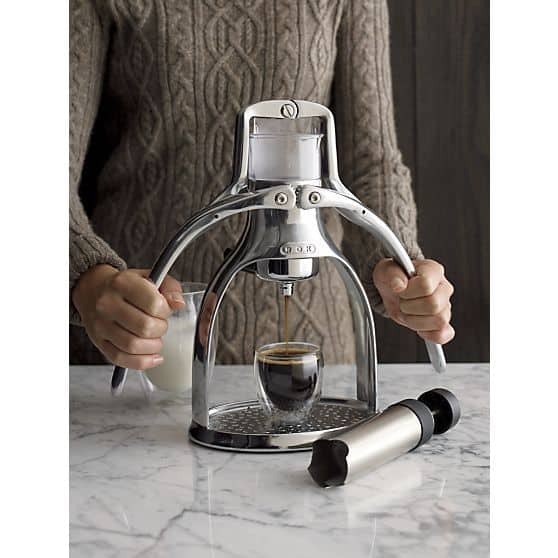 But all the difference in opinion about machines and grinders boil down to what makes coffee made from an espresso machine unprecedented and particular. The anatomy of the shot. The crema, actually is first to come out of the puck, sits on top and works as a filter of the rest of the shot. It provides the unity of all the flavor notes but maintains it’s buttery, sweet characteristics. The middle of the shot is next. The body of a shot is where you find that carmel-y texture. 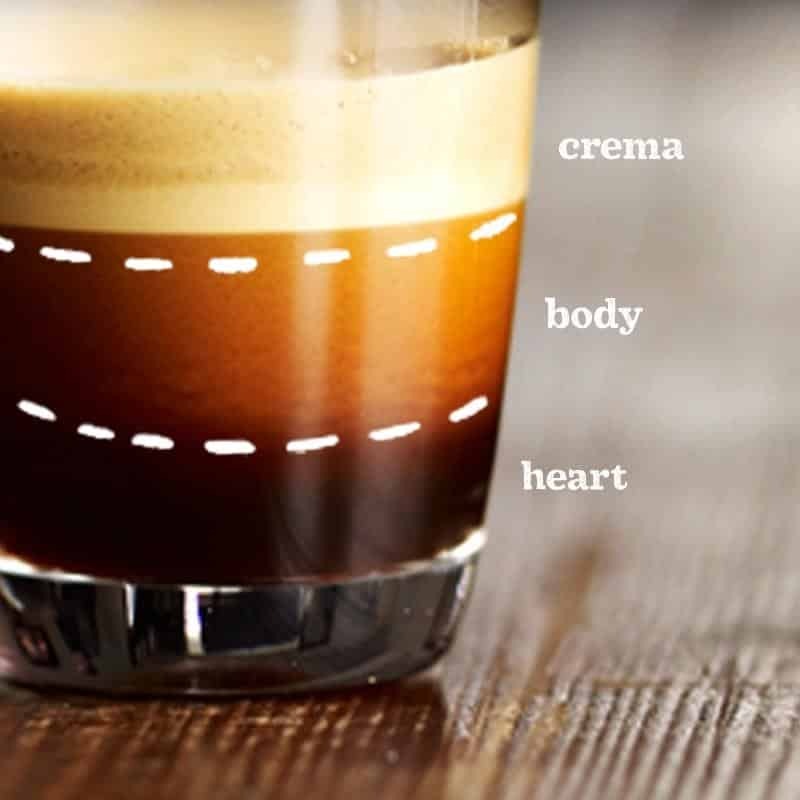 The bottom, or heart, of the shot contains all the aromas. It’s bitter and rich. The flavor notes vary depending on where the beans were grown. It was originally taken as a shot, so that the drinker could experience the bitter, sweet and full flavor we have love all at once. However, whether you are a latte gal or an Americano type, the process that the bean undergoes affects the very nature of your beverage. Though widely believed misconception that espresso is a drink is definitely a cultural notion, it is not this way in Europe, the land of its birth. During my time as a barista, I heard people call drinks by their brewing methods all the day long. But the coffee culture in Europe is exact and traditional. If you order a latte in Italy, they will bring you hot milk. (it happened to a friend from college during her trip with the architecture department. The coffee scene here in the US is evolving. The days od the Mr. Coffee cup full of instant grounds are over. People want more; they want all the experience, expertise, and experimentation of that the world of coffee has to offer. Order a “café espresso” and have a delicious shot of rich coffee brought to you.